Deputy Head of the Odesa Regional Council Yuri Dimchoglo, Gagauz by descent, was elected Chairman of the Association of Gagauz Communities of Ukraine, the press service of the Association reported. According to Dimchoglo, the Association will protect the social, economic, national-cultural, educational (linguistic and written) interests of the Gagauz people. “I am sure that the strategy of the Association's activities will be adjusted and aimed at involving our people in the process of social and economic renewal of society, attracting the Gagauzes of all Ukraine to the national cultural events that will allow us to preserve our culture, traditions and, first and foremost, the language,” Yuri Dimchoglo underlined in the commentary to one of the Internet publications. The agreement on the establishment of the Association of Gagauz Communities was reached during the celebration of the 20th anniversary of the first public Gagauz organization in Ukraine - Gagauz Regional National-Cultural Society "Birlik", which was held on June 28, 2018. 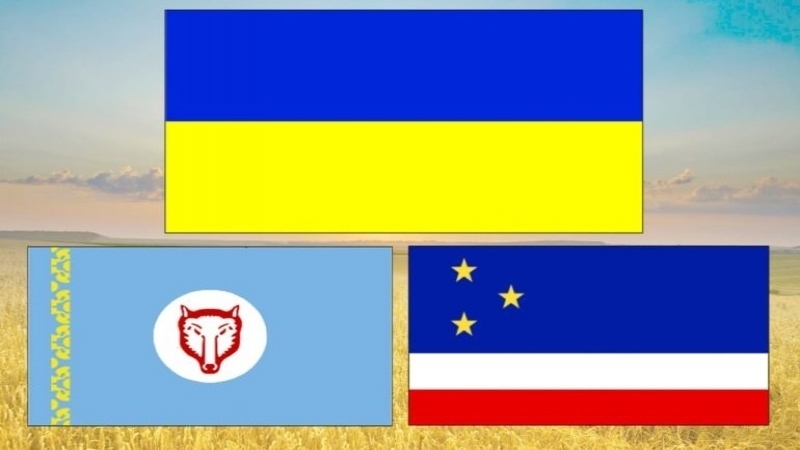 In the first week of July, four public organizations of the Gagauz signed a Memorandum of Cooperation and formalized the union of Gagauz public organizations of Ukraine in the Association. The document was signed by the public organization Gagauz regional national-cultural society "Birlik" ("Unity"), Odesa; All-Ukrainian public organization "Union of Gagauz of Ukraine", Kyiv; Public organization "National-cultural society "Gagauzlar", Odesa; Reni regional national-cultural Gagauz public organization "Kardashlyk" ("Brotherhood"), Odesa region, city of Reni. According to various sources, about 30 thousand representatives of the Gagauz nationality live in Ukraine. In Odesa region, according to the population census of 2001, mono-ethnic Gagauz villages are Vynogradivka, Stari Troyany, Oleksandrivka, Dmytriivka and Kotlovyna. Also about half of the population of the villages of Kubey, Novoselivka (Kili), Krasne and Serpneve (Tarutinsky) are Gagauz. Today the Gagauzes actively participate in the socio-political and national-cultural life of both the Odesa region and Ukraine. QHA reported, that in July 2017, with the support of Turkey, the book "History of the Gagauz of Ukraine" was published. The text of the illustrated edition of more than 800 pages was written by the Gagauzes Stepan Bulgar and Yuri Dimchoglo.